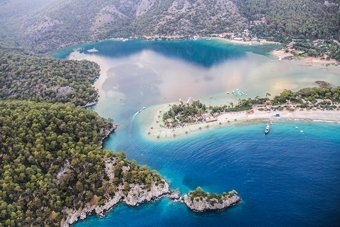 Dalaman Airport Transfers to Fethiye, Gocek, Oludeniz, Didim, and many other destinations. After your arrival at Dalaman Airport, you will find an amicable and well-dressed driver waiting at the Terminal building. We offer reliable, top-notch, secured and economical airport transfer service to reach you to your Hotel at your destination. 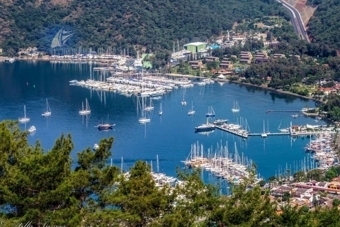 In Fethiye, Marmaris, Sarigerme and Gocek. We have a fleet of luxury cars – each of them is insured and licensed – for airport transfer purpose. Our private transfer service will bring you to your destination directly from Dalaman airport and without any stopover on way. Our low-cost yet excellent transfer service is for all of you who want to be on your way to Dalyan, Datca, Didim, Fethiye, Gocek, Kas, Kalkan, Marmaris, Oludeniz, Patara and Sarigerme. Our driver will receive you on time at airport or hotel and bring you to destination without any unwanted halt on midway. Good service, great pirce – that’s what we are committed to. Check out our prices ranging from as low as € 35 to carry maximum 4 persons. Click a few times on your mouse to be done with easy online booking for private transfer. Before making a trip, visit our website airport-transfer724.com for online booking and within 25 minutes you will receive a confirmation email along with a transfer voucher. No upfront payment is required and you are allowed to pay to the driver on your arrival. There are several benefits of opting for Dalaman Airport Transfer with us. 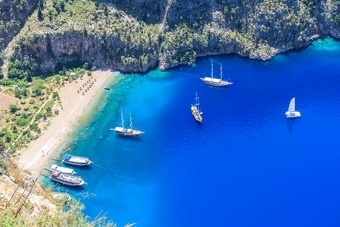 Our superlative and reasonably-priced airport transfer service attracts attention from all of our customers intending to visit the region of Marmaris and Fethiye. With no hidden charge, our dealing is strictly fair and square. We work round the clock every day a week, while transporting you from Dalaman Airport to specified hotel in the region. No stopover is scheduled. You will fall in love with our service – high on comfort and safety – at a surprisingly low level of price. Our driver will reach the airport much before your flight’s landing time and wait after Baggage Reclaim Area to carry you to your destination with best possibilities of luxury, comfort and security at an economic price. Our private airport transfer service is a door-to-door type.